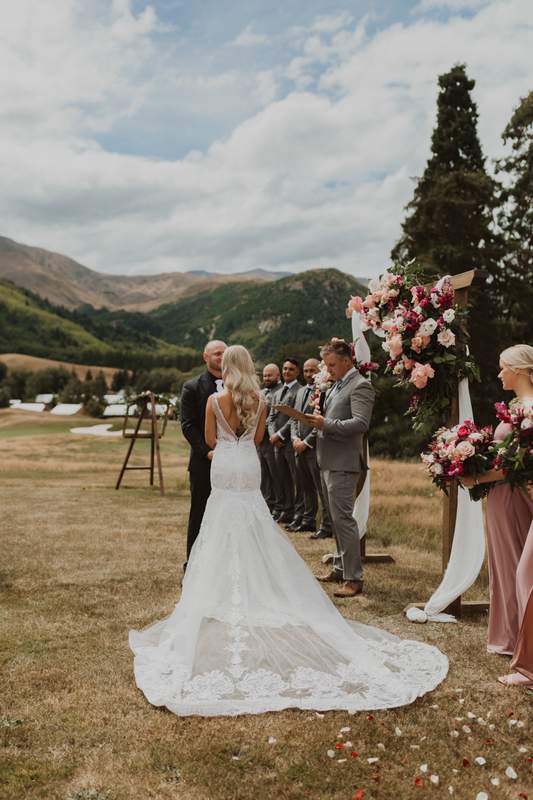 Tying the knot with the ever so gorgeous backdrop of Queenstown, Kendal and Phils South Island Wedding has us dreaming of those warmer summer days. I was dancing away in a night club and he bought me a drink . What was the theme/aesthetic of your big day? 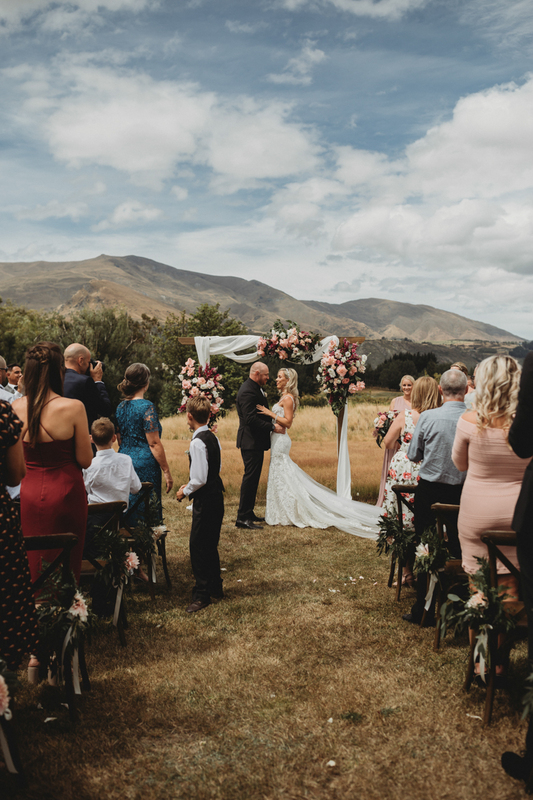 I didn't follow a theme, Phil and I talked about major key points we wanted at the wedding - espresso martinis, helicopters, personalised wooden names, ample flowers …I was very lucky that everything went together visually as we have very mixed taste. What was the biggest source of inspiration while planning your wedding? Other people’s weddings! Planning a wedding is no walk in the park and the best advice I could give any newly engaged couple is to try and attend as many weddings as the can leading up to the day. I took on a part time job working for Alfie the Wedding Caravan so was lucky to pull inspiration from numerous weddings! 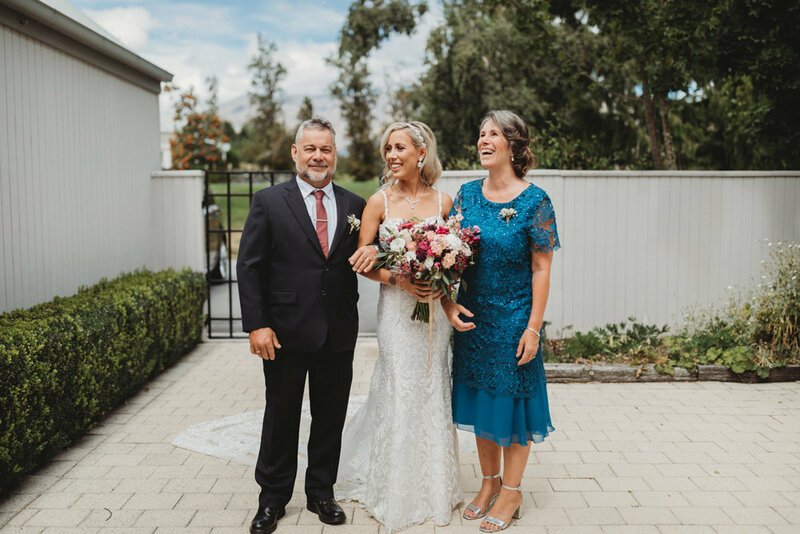 There is so many but the top one would be my husband nailing our first dance, followed closely by my beautiful niece doing an exceptional job as our flower girl and my mother in laws surprise speech. It has to be a tie between our good friends Josie and Shaun- they kept it going and the pillars became poles in no time. Did you always have an idea in mind of what you wanted your dress to look like? I know I always wanted a fitted dress with so many key components like a low back and long train, I also knew I always wanted it made to fit my body as I have a small waist with a big booty and have a hard time finding dresses that fit perfectly.